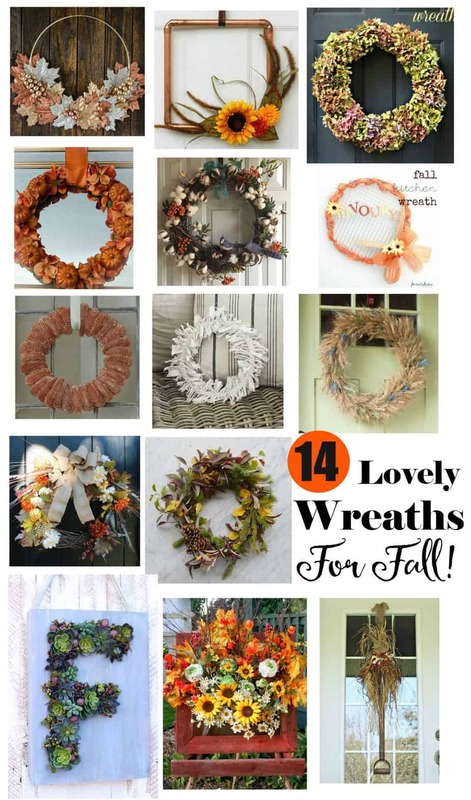 Happy Fall Y’all, it’s wreath time again! Today I’ve teamed up with a fun group of Canadian bloggers to bring you 14 fabulous Fall Wreaths, including my Monogram Faux Succulent Wreath. 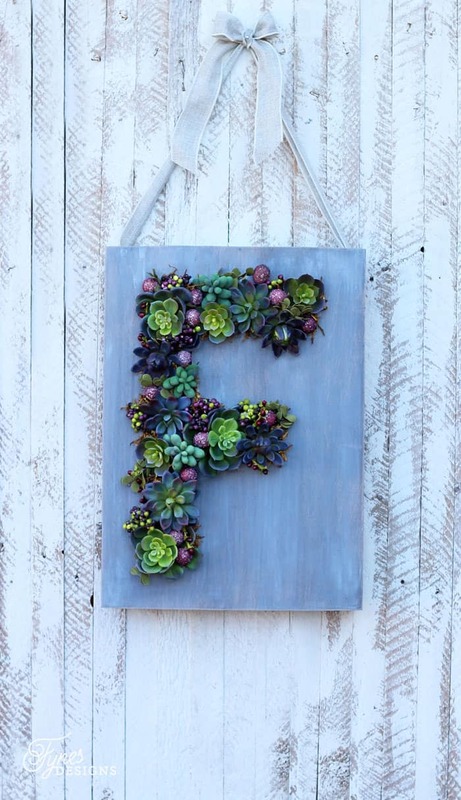 When I seen that Flora Craft: Make It Fun was selling faux succulents I had to craft with them. You can see I used a few in my master bedroom too! I have seen lots of hanging succulent planters on Pinterest, but with our cold climate, and my lack of a green thumb, going this route was a far better option! Creating this project was very easy. I used a small piece of scrap plywood, 1-1×3, a sheet of Make It Fun Foam, faux succulents, dollar store filler (like berries, leaves and moss), and ribbon. Trace or draw the letter on the back side of the wood (if you get any chipping on the edges of the wood it is most likely going to be on the cutting side). Drill a pilot hole to begin cutting with a jig saw. Cut out the letter, and sand down the edges to smooth. 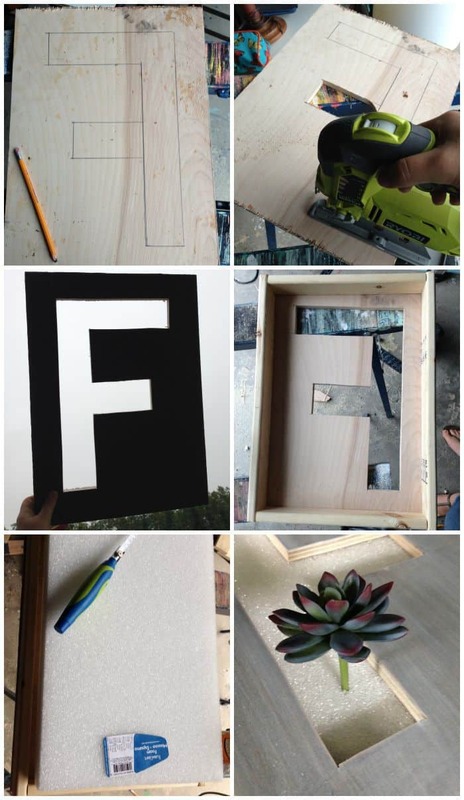 Cut the 1×3 to create a box around the frame of the plywood. Glue and nail in place. Paint or stain the desired color. Cut a styrofoam sheet to fit into the box. Cut a sheet of hardboard the same dimensions of the front to cover the back, and secure the foam sheet. Glue and nail in place. Poke succulents and filler into place, using a low temperature glue gun to secure if going to be in a high traffic area. To hang the garden box, nail or staple a coordinating ribbon to the back side. 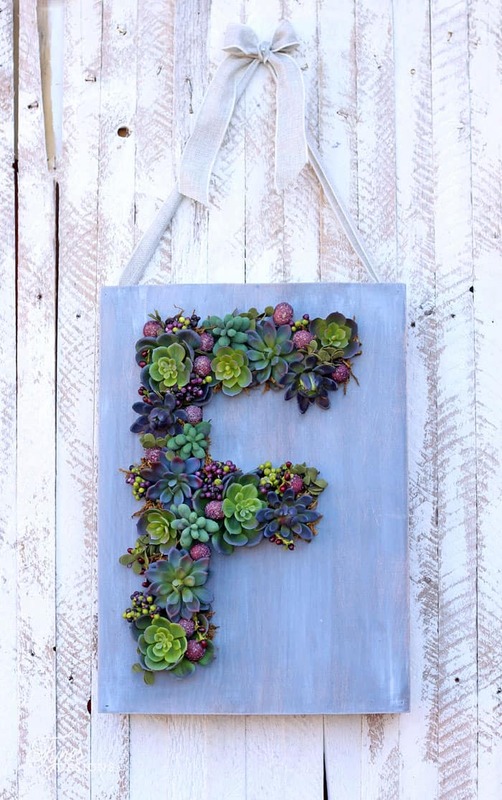 Alternatively you can use the succulent monogram to add a unique decor piece to your fall vignette, mantle, or entryway. I’m in love with these little succulents! I chose berries with a fall feel, but any seasonal color would coordinate with the succulents to fit the time of year. Who knows I might even change them up! 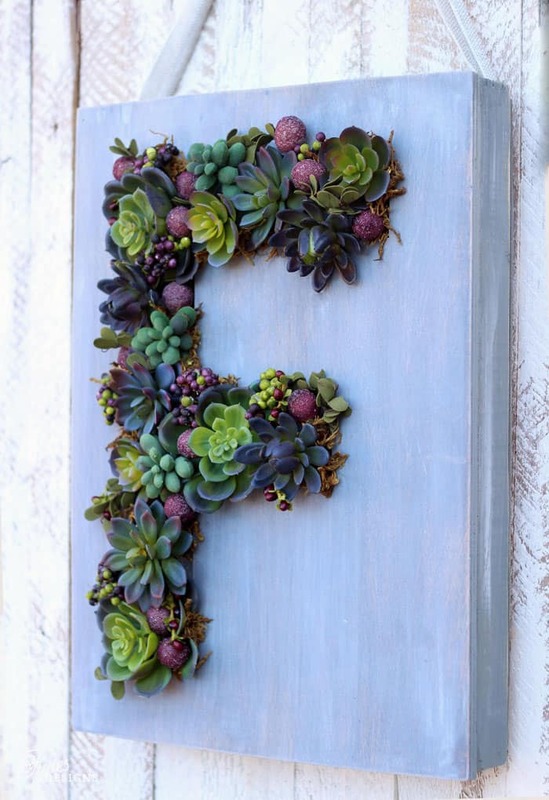 I used 15 succulents, and 3 small bunches of filler for my monogram wreath. It measures approximately 12 x 18″. I hope you feel inspired to create something of your very own! I am a sucker for succulents! It’s almost like cuckoo for cocoa puffs, except more intense! 😉 This your monogrammed wreath is adorable! It looks great, Virginia! Such a smart design. I’m thinking of all the things I can make with wood and foam! It really opens some doors eh?! This is just beautiful, Virginia! 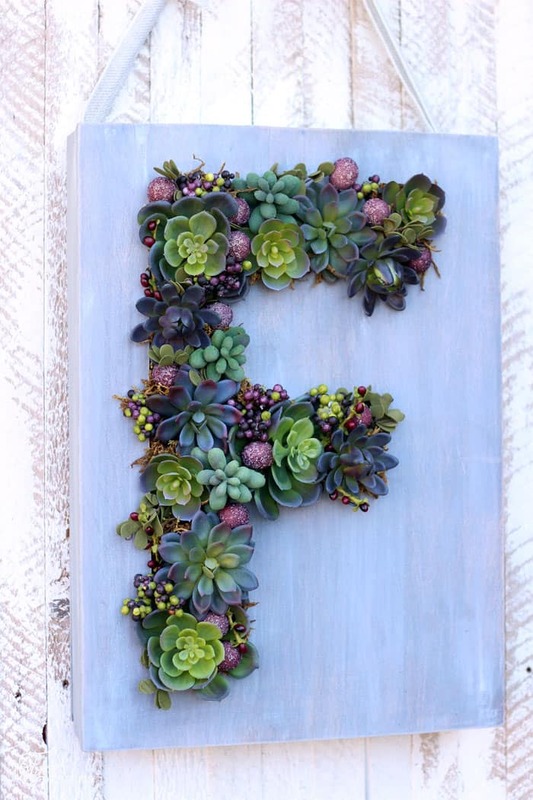 I adore your succulent monogram! I’m also crushing on the pumpkin with the big bow! This just might be my fav. of the wreath hop. Love it, and love how real it looks without the pressure to keep it alive. So beautiful. Happy fall. Love it! Now I need to go find some faux succulents! When I first saw this I thought you were crazy for trying to keep succulents alive on your door! But faux? Genius! I love the look of this monogram Virginia. Oh my gosh Virginia! This is brilliant! what a creative and artistic way to make a monogram. Since it is faux this one will last forever! Love the colours! Always something unique and spectacular on your blog, Virginia. I’m posting this to my succulents board because it looks so real!! You’re too sweet Heather, thank you for visiting! This is just so adorable! 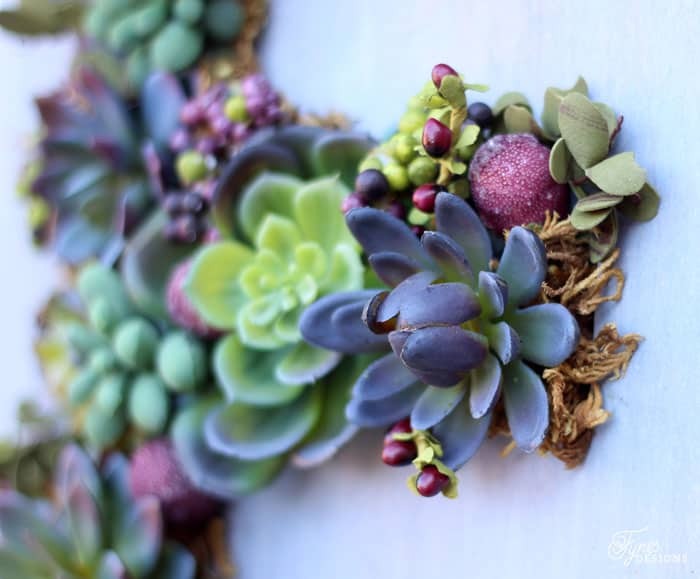 I always love succulents, and the way you’ve done this wreath is soooo smart. I really need to practice my sawing skills so I can make gorgeous crafts like this. Amazing job, as usual! So beautiful! You arranged the succulents so perfectly. I would definitely leave this wreath up all year round! This is amazing. What a beautiful arrangement! Loooooooove it! I saw a live succulents wreath, which was beautiful, but I was like heck no! I would kill that sucker! ha This. Is. Perfect. Exactly how I felt! This is working quite well, I love it!! I just stumbled upon your blog and am happy to be a new follower. This is so wonderfully done. Such a refreshing take on a wreath. Love love love! Thanks Jess, you’re sweet! Glad to have you on board! thanks, It was really fun to make! I’d love to see if you give it a try! That is beautiful! Those faux succulents look real, they had me fooled for a second! I was so curious to see how you fit the soil into this wreath! Brilliant and really beautiful! Gorgeous! Love it — and especially love that it’s faux — I have the rare talent of killing succulents! Ha! Oh my, me too #blackthumb!! !